Who Invited KTR To His Beautiful Home? 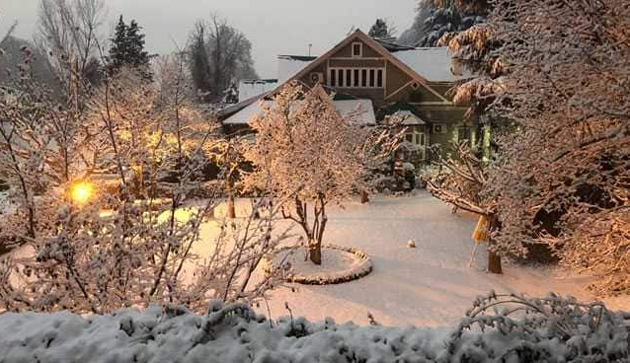 Former Jammu & Kashmir CM Omar Abdullah shared a beautiful photograph of his house covered with snow. KTR who is active on social media retweeted the post & commented: 'If only there was a wish granting factory, I'd have one right there; somewhere closer'. Quickly, Omar Abdullah asked KTR to treat it as his home and stay any time he like. And then, KTR replied: 'Hey, I am gonna take that offer rather seriously Omar saab'. National Media offered extensive coverage to the Twitter conversation between the Two Dynamic Leaders of the country. KTR commented on it in a sarcastic manner saying he didn't realise that even casual/friendly banter can get prominent media attention.